My kids knew that Space Shuttle Atlantis is launching today. We all watched it when I came home from work and the kids all had their own fantasies about what you could do during launch while I explained to them how fast the shuttle was flying. As was the case with the Ares I-X launch, I had it up on my monitor at work streaming from SpaceVidCast, what seemingly is the only way to see it in HD apart from having a huge satelite dish. Several people gathered to see the launch, making me feel pretty good about raising awareness of the space program even if just a bit. 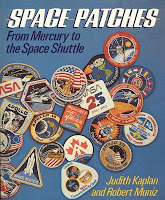 I enjoyed seeing the book that Yotam, one of my almost-9 year old twins, brought home - Space Patches: From Mercury to the Space Shuttle. Not an extremely interesting book for a kid this age apart from the pictures of the patches themselves and not very current (a lot of missions flew since 1986), but it was nice to see a little space rubbing on him. In case anyone's interested, there seems to be a similar but more current book from 2001 - Space Mission Patches. 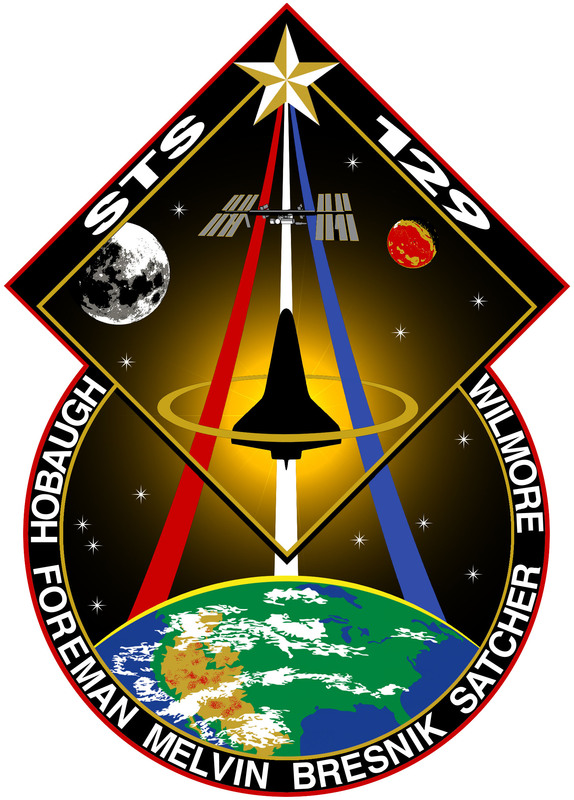 Naturally, in this online age, the NASA history site has a Mission Patches page showing the designs of all the patches, upto and including STS-129 that had a perfect ascent, the one before last flight for Atlantis according to current plans. The patches, mostly designed by the mission astronauts themselves, are both a testament to the uniqueness of each mission, unifying the participants and promoting NASA image.